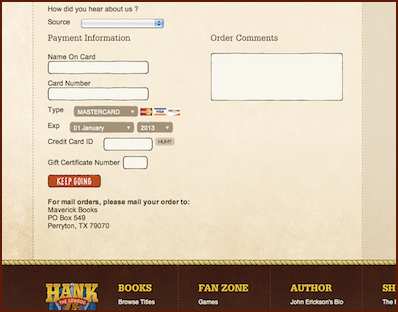 Make your request in the "Order Comments" box shown in the picture below. p.s. Just so you know: We do ship all books by Priority Mail, and orders requiring autographs should be placed before Decomber 15th.